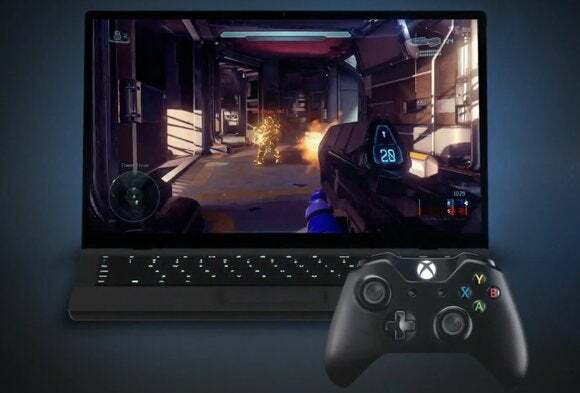 Microsoft has realized that it can’t ignore PC gaming anymore, but it still has work to do in building a bridge from its game console. With Windows 10, Microsoft is taking another shot at being serious about PC gaming. Don’t laugh. Although Microsoft doesn’t have a great track record for fostering the PC as a game platform (see: the unloved failure that was Games for Windows Live ) this time the company is wielding the Xbox One as its secret weapon. The idea is that if you own Microsoft’s console, Windows 10 might bring some benefits that don’t get from Steam or GOG alone. Still, this effort is a work in progress. While the Xbox and PC are no longer isolated platforms, they still have a fair share of missing links. Read on for a rundown of where the Xbox One and Windows 10 create beautiful synergy, and where they don’t. One of the big benefits of having an Xbox One and a Windows 10 PC is the ability to stream console games to the computer. As long as both devices are on the same Wi-Fi network, Windows 10’s Xbox app lets you play any Xbox game (including backwards-compatible Xbox 360 titles). Latency can be slightly noticeable, but it’s not a deal-breaker for single-player games, and with a good enough router you can crank up image quality so it’s almost like playing natively on the console. 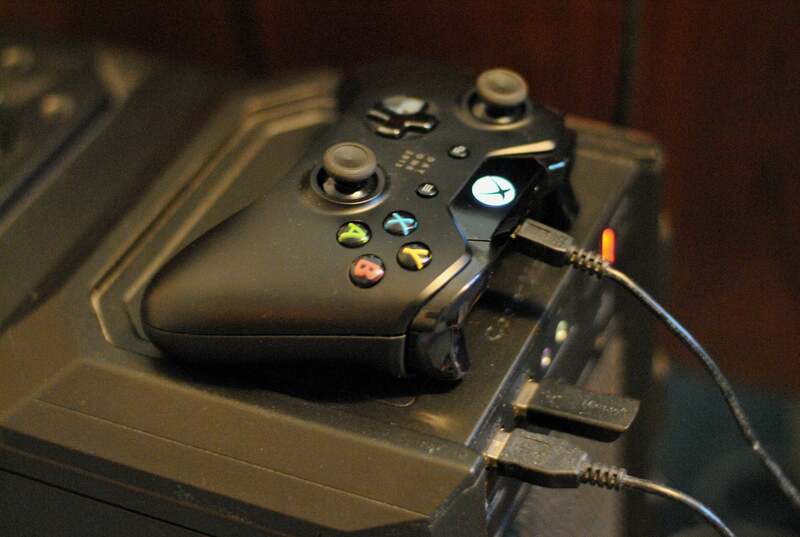 You can even use an old Xbox 360 controller to play Xbox One games the PC side. Unfortunately for Xbox owners with a large PC game library, streaming doesn’t work in the opposite direction, though Microsoft says it would like to implement PC-to-Xbox streaming in the future. 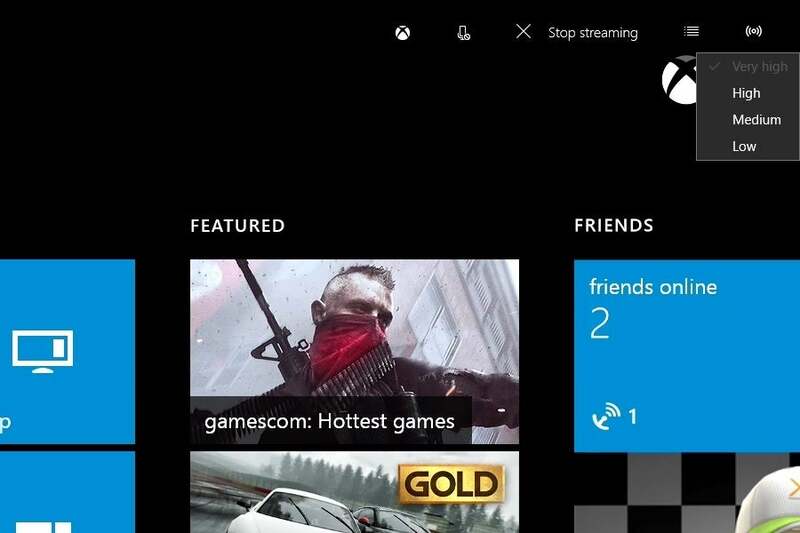 The Xbox One’s streaming capabilities don’t just apply to games. The console is becoming a powerful tool for cutting out a cable TV subscription, especially with the Xbox One TV tuner that pulls in over-the-air channels (such as NBC and Fox) at no monthly charge. And today, you can already stream those live broadcasts to the Xbox app in Windows 10, along with the SmartGlass app for iOS, Android, and Windows 8. Next year Microsoft is adding DVR capabilities for those over-the-air channels, and Windows 10 users will have a special benefit: They’ll be able to download recordings to any Windows 10 PC, phone, or tablet for offline playback from anywhere. All other devices will be limited to in-home streaming. 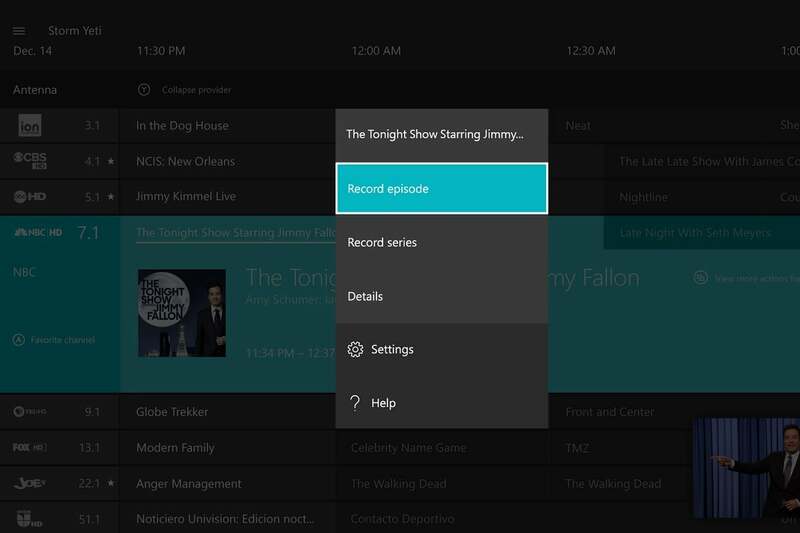 Again, it’d be nice if this worked in the opposite direction, so users could drive their DVR setups through the PC and stream recordings to Xbox consoles. A live TV app on the Windows 10 side might even help convert some people who are clinging to Windows Media Center on older versions of Windows. The Xbox One’s interface currently takes a page from Windows 8 with its extensive use of Live Tiles, but Microsoft is backing off this ill-conceived strategy soon. 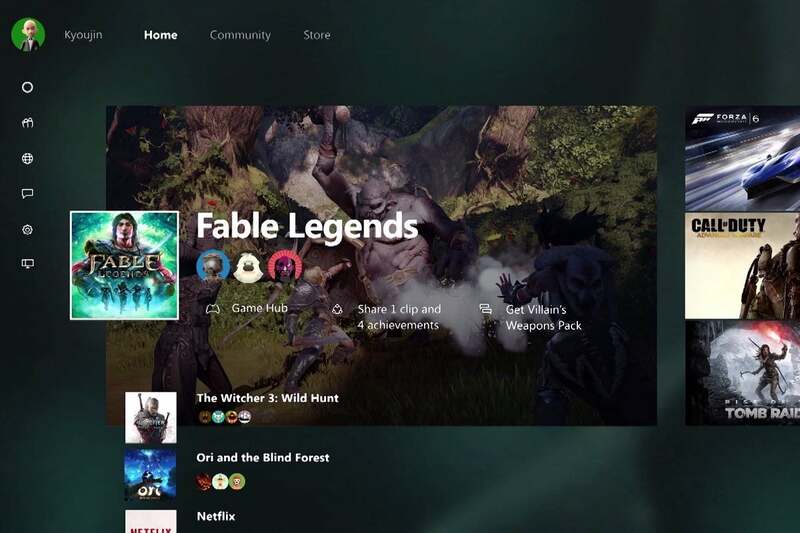 This November, the Xbox One interface will get a massive overhaul that takes after the brand-new Xbox app in Windows 10. It’s a subtle, but important shift: Instead of copying Windows itself, Microsoft is giving the Xbox software its own identity, one that persists across devices. As part of the update, the Xbox is also getting Cortana for voice commands. The console version of Microsoft’s virtual assistant will work with gaming-related functions, such as forming parties or sharing video clips by voice, but it’ll also carry over any reminders you’ve set on a Windows 10 phone or PC. The result should be a familiar experience as you move from the console to the PC, along with a single system for achievements, game clips, and messages. It’s worth noting, however, that the two interfaces aren’t identical. The Xbox One focuses on launching games as quickly as possible, while the Windows 10 app emphasizes your friends’ activity on Xbox Live. What about Xbox gaming for mouse-and-keyboard diehards? Xbox head Phil Spencer has hinted this might happen, at least for PC-to-Xbox streaming. It’s unclear whether the Xbox might allow native console play with a mouse and keyboard, as doing so might create an imbalance in competitive multiplayer. Microsoft has flirted with a “buy once, play everywhere” model for years, but with Windows 10, this remains a hazy dream at best. So far, Microsoft hasn’t announced a single paid game that you can buy on Xbox One and play natively on PC at no extra charge, or vice versa. The company is instead starting its cross-buy initiative with a few free-to-play games—Pinball FX2, Fable Legends and Gigantic—whose in-app purchases will work on both platforms. There are signs that Microsoft has bigger ambitions. The company has put out an Xbox Live SDK for Windows 10, so PC game makers can take advantage of the same tools that Microsoft offers to console developers. Microsoft is also extending its ID@Xbox indie games program to Windows 10, and the upcoming Halo Wars 2 will launch on both Xbox One and PC. But while the pieces are starting to fall in place, Microsoft has yet to put them all together. Meanwhile, some of Microsoft has labeled some of its biggest upcoming console releases, such as Crackdown 3, Quantum Break, and Scalebound, as “XBOX ONE EXCLUSIVE.” And with no major third-party publishers talking about cross-buy, you’ll be buying most PC games through Steam for the foreseeable future. Speaking of Steam, we shouldn’t judge Microsoft too harshly for what it has and hasn’t done yet. By wading back into PC gaming, the company is on some level competing with a juggernaut that claims to have more users than Xbox Live . Steam users are notoriously loyal—most of the time—and Microsoft would likely get nowhere by opening up another full-blown PC game store attacking Valve’s platform head-on. Instead, Microsoft is flicking at the PC with a few modest initiatives, such as streaming, better peripheral support, easy access to your Xbox Live network, and a handful of true cross-platform games. If Microsoft can win over gamers on those fronts, it’ll have a more meaningful presence on its own operating system than it has in years.